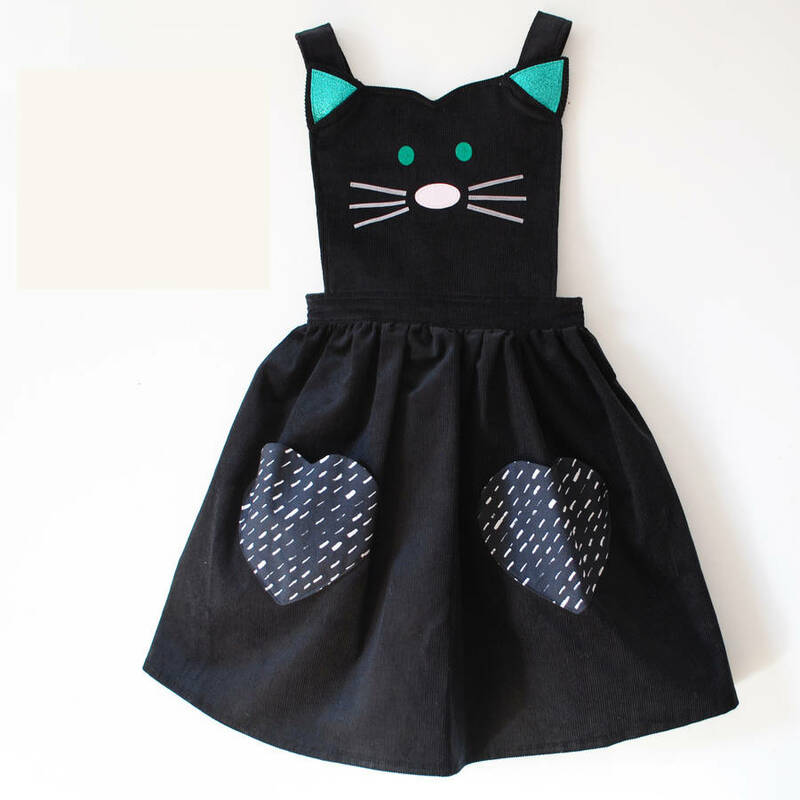 Girls kitty cat pinafore glitter play dress for little girls babies and toddlers. 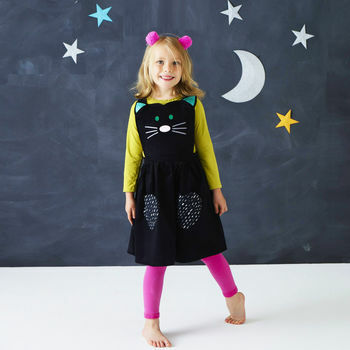 Purrfect for every day dressing up, Halloween and beyond. A new dress shape for Wild Things. 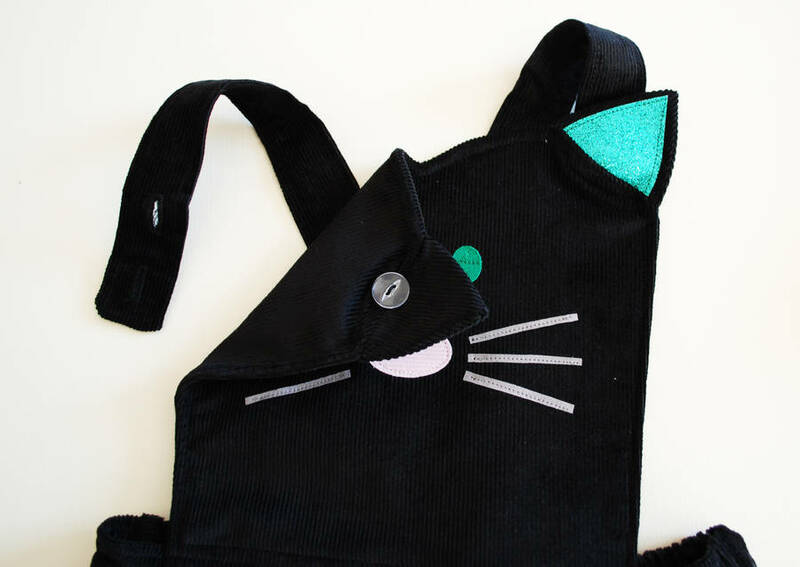 This little cat character is sure to spark your little ones sense of adventure. Handmade from beautiful soft cotton corduroy , with emerald green glitter ears, this versatile little dress doubles as a dress up or for pretend play at parties and every day. 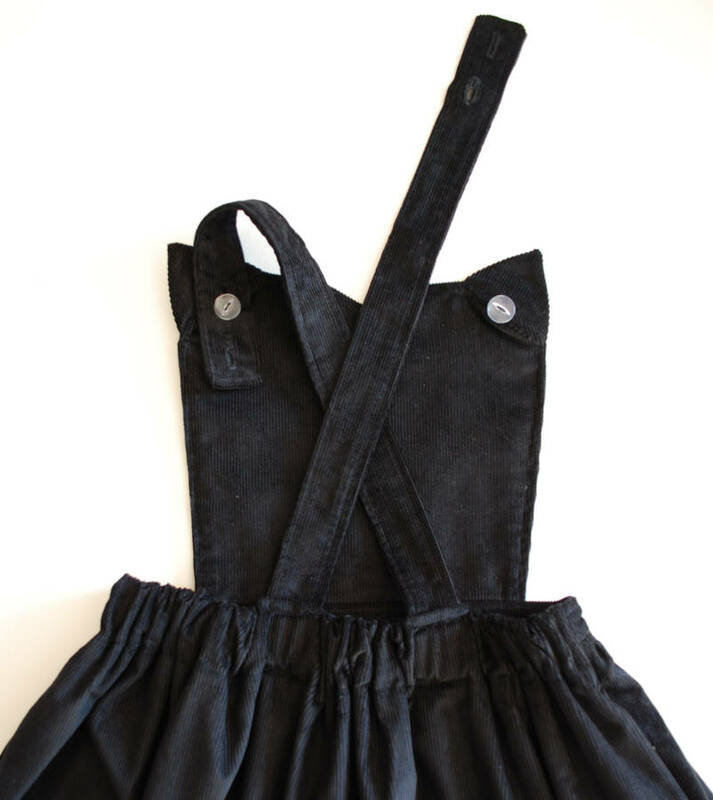 Pinafore straps are adjustable, and the skirt is elasticated for easy fitting. 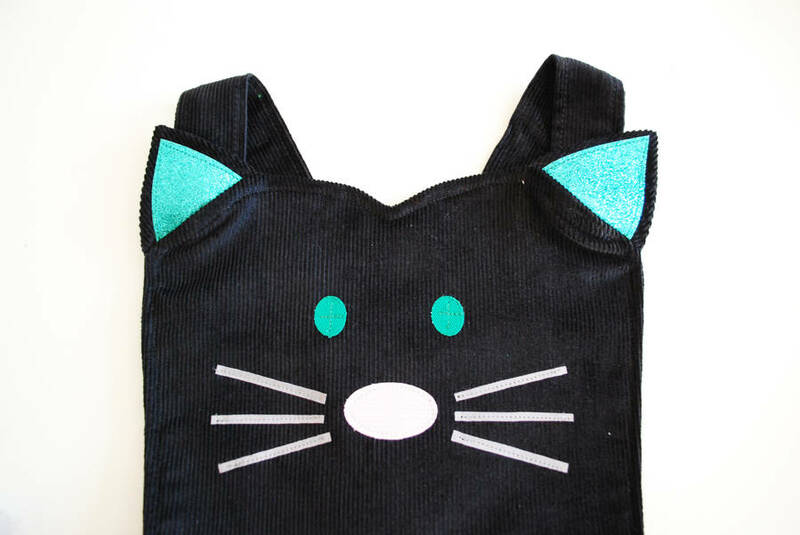 Hand applique cat face yoke, . 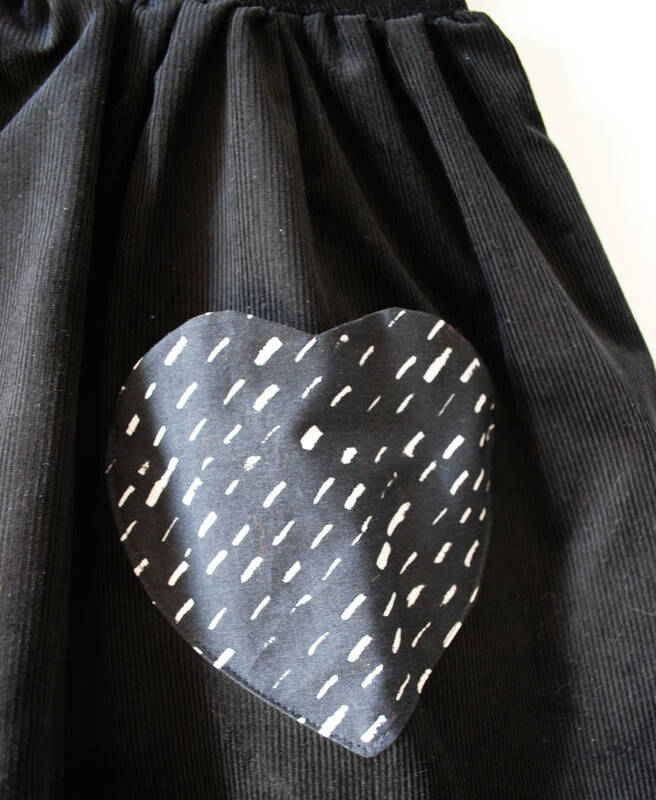 heart shaped pockets .